PLEASE NOTE: Parking Structure #5, where patrons were previously directed to park for Royce Hall events, will be under construction this season. Royce Hall patrons are now assigned to Parking Structure #2. VIP and Donor parking has been assigned Lot A and handicap parking will be on Dickson Court. All parking areas will be staffed by UCLA parking attendants to assist patrons with directions or other information. Way-finding signage will also be available along the pathway to Royce Hall. We look forward to seeing you! If you don’t find the information you’re looking for on the pages below, please contact us at info@cap.ucla.edu or 310-825-2101. If you purchase your tickets online, you will receive a Know Before You Go email approximately 48 hours before the performance with helpful info on approximate running times, pre and post-show activities and any other information you will need to know before you head out the door. Make sure you are signed up for our newsletter. Register an account at cap.ucla.edu/mycapucla. Royce Hall is located in North Campus. 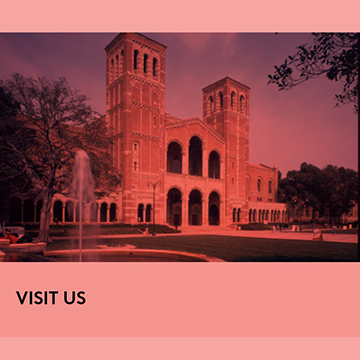 Click here to view the UCLA campus map. From Hilgard driving south, turn right onto Westholme toward the UCLA campus, and take the first left into the North entrance of Parking Structure #2. From Hilgard driving north, turn left onto Manning toward the UCLA campus, and then take the first right into the south entrance of Parking Structure #2. From Sunset Blvd., enter north campus at Westwood Plaza and proceed straight to the underground parking structure. Lot 4 accepts cash and credit cards. This is the only lot that will accept credit card payments within the proximity of Royce Hall. From Hilgard, turn west onto Westholme toward UCLA campus, veer right at the fork to stay on Westholme, then turn right onto Charles Young Drive East. The entrance to Parking Lot A is on your right. From Hilgard, turn west onto Wyton toward UCLA campus, turn left onto Charles Young Drive East and proceed to Dickson Court. Turn right onto Dickson Court and park. Parking in Structure 4 will require that you walk up Janss Steps (87 steps) to get to Royce Hall. Please allow an additional 5 minutes to walk from this structure. Get off the bus at Hilgard and Wyton, and then head southwest on Wyton Drive toward Charles E Young Dr. East. turn left at Charles E Young Dr. East, turn right at Circle Drive East and continue on West Dickson Ct. Once you pass the flagpole, Royce Hall will be the second building on your right. Get off the bus at Hilgard and Westholme and then head west on Westholme Avenue towards the UCLA Campus, veer right to stay on Westholme Avenue, turn right at Charles E Young Drive South, and then turn left at W Dickson Ct. Once you pass the flagpole, Royce Hall will be the second building on your right. Get off the bus at Westwood Plaza and Strathmore Plaza, Walk towards the Ackerman Center and the Ashe Center, take a right on the Bruin Walkway and continue up the stairs until you reach Portola Pl. Take a left of on Portola Plaza until you reach the flagpole. Take a left at the Flagpole and Royce Hall will be the second building on your right. Photography, video and the use of any recording equipment is strictly prohibited in the theater at all times. Any/all press photography must be approved in writing in advance by a CAP UCLA representative. For press inquiries and to make a request to cover an event, click here. The use of cameras, smart phones, cell phones and recording equipment of any kind is strictly prohibited at all times. All devices must be silenced before the start of the performance. There is no late seating for performances at Royce Hall, Freud Playhouse, Kaufmann Hall or Little Theater. Artists have the option to allow late seating it and, if so, it will occur only at a suitable time at the discretion of the house staff. Latecomers will not be seated in their assigned seats to avoid disruption or distractions during the performance. Refunds on parking and tickets for latecomers will not be accommodated. move in closer to the stage to fill in empty seats to create a more intimate atmosphere for both the audience and artists. Patrons ALWAYS have access to their ticketed seats if anyone else is sitting in them, regardless of whether or not we have invited people to move in. So please be aware that there is a possibility that you may have to change seats again if you move into a seat that is not your ticketed seat. A variety of accessible seating is available at all campus venues. Please indicate specific seating needs when placing your order. To request accommodations call 310-267-4465 at least two weeks before the performance. If possible indicate needs when ordering tickets. In addition to wheelchair spaces, Royce Hall is equipped with select aisle seats that have folding armrests on aisle sides to make transfer easier for those with mobility limitations. For such seating please request a "transfer seat”. Royce Hall is equipped with an assistive listening system for individuals with hearing loss. Please provide any member of the house staff with your driver’s license to check out a headset. Accessible parking spaces in Parking Structure 5 are located on level 4. For oversized vehicles, please use level 6. If possible indicate needs when ordering tickets. Children over age 5 are welcome to most events, and regardless of age must have a ticket. Infants on laps are not permitted. Inquire when purchasing tickets of age appropriateness for specific events. Assisted listening devices are available. If desired please ask our house staff. 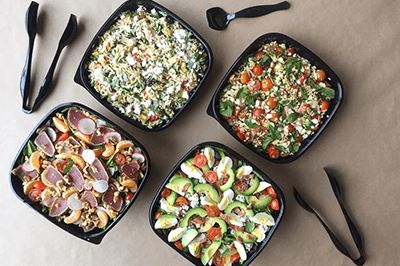 New this season, Royce Hall patrons can now order snacks or a light meal before the performance! Hot and cold food items will be available in the West Lounge 90 minutes prior to the performance. 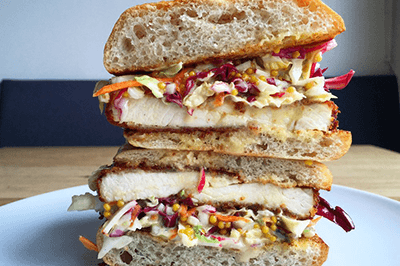 fundamental LA is our brand new concessionaire and we're excited to announce some of their new food offerings. They've been catering CAP UCLA's donor lounge for the past three years and we're excited to have them handling our food & beverage concessions for Royce Hall! fundamental LA opened 6 years ago as a small neighborhood restaurant right down the street from UCLA on Westwood Blvd (corner of Wellworth Ave). They serve lunch and dinner and service the UCLA campus via lots of catering and full-service events. At lunch, you'll find seasonal sandwiches, salads, and sides; at dinner, expect more refined plates with an eclectic wine program. 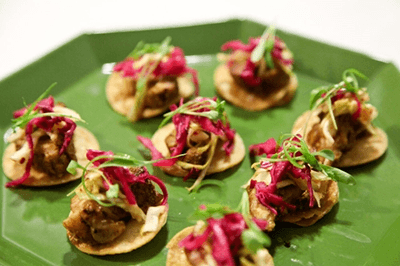 The catering company serves all types of cuisine and manages the full scope of event planning including food, beverages, staffing, and rentals. Center for the Art of Performance at UCLA thanks all of our dining partners for their continued support. We encourage you to patronize our partners. Grab a bite before the show or relax with friends afterwards. Special CAP UCLA member and same date ticketholder offers are available. *CAP UCLA Members must each present member card at time of purchase. CAP UCLA Ticketholders must each present a ticket on the same date of the CAP UCLA event. 10% discount to CAP UCLA Members (upon presentation of Membership card). 10% discount to CAP UCLA Audience (upon presentation of performance ticket). 15% off dinner for CAP UCLA Members (upon presentation of Membership card). 20% Discount to CAP UCLA Members (upon presentation of Membership card). For more information on all our venues click here.